SARS clarifies VAT and PAYE on director fees, but at what cost? 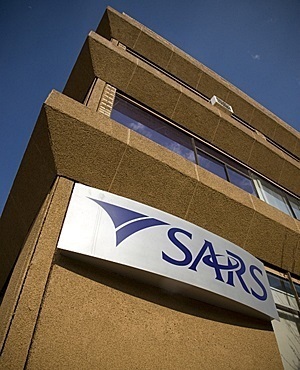 Cape Town - The South African Revenue Service (SARS) on Tuesday categorically denied that it was “holding back anyone’s money” in the form of delaying VAT refunds to boost its own revenue collection targets. Briefing Parliament’s standing committee on finance on its quarterly performance, SARS was responding to a number of questions from members of Parliament about its revenue collection figures, the issue of outstanding VAT refunds and its tax collection systems. Lees said there’s the perception that SARS is “playing” with refunds to boost its own tax collection figures. Responding on behalf of SARS, Firdous Sallie, acting chief officer, said there’s a specific process that is being followed at the Revenue Service before tax refunds can be paid out. “Every single assessment submitted to SARS goes through a rigid process. On the one hand we have to ensure refunds are paid out timeously, but on the other hand we must make sure it stands up to the test of not being a fraudulent VAT claim,” Sallie said. SARS said earlier that it owed vendors a total of R19.6bn in VAT refunds by the end of February 2017. As at the end of February the outstanding the total number of VAT claims during the period 1 March 2016 to 28 February 2017 was 343 674, of which 43 650 claims were not refunded by February 28 2017. The total value of VAT refunds still being audited as at February 28 2017 was R17.3bn. Sallie told MPs on Tuesday that 89% of the VAT submissions received by SARS are paid out timeously. “If every person submits the specified documentation, if there are no duplication and if all the third party data are available and there are no discrepancies you too can become part of the 89% that receives a VAT refund within 14 days,” Sallie concluded.